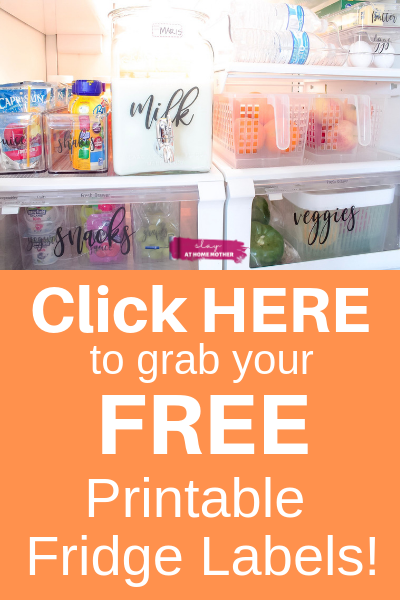 This post is sponsored by Erin Condren and contains affiliate links, however all opinions are my own. My life is kind of crazy. 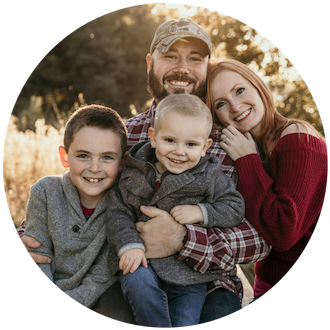 With the kids’ appointments, PTO meetings, running my blog, and my husband’s work schedule – things can get really hectic. And that’s totally fine, because I’m a mom and there’s a lot of chaos that comes with motherhood. But I also have a problem remembering things, and when you try to pack too many marbles into a jar, some of them spill out! For the upcoming school year, I figured it was time to get my life on track and organized. I recently decided to partner with the wonderful Erin Condren for her Oh Joy! LifePlanner. 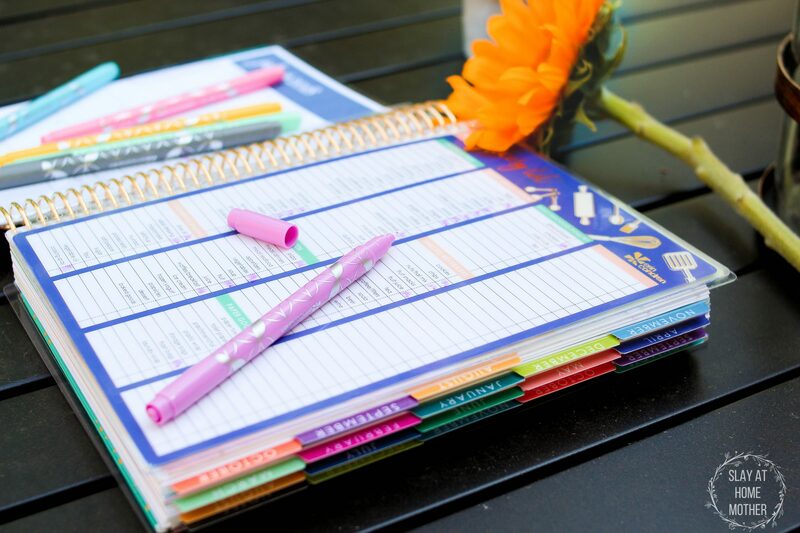 When I saw this Floral Festival LifePlanner that Oh Joy! designed for Erin Condren, I fell in love! The soft pink and floral print just screams ‘Corinne‘! I chose the color of the coiling to match the accents on my diaper bag, as well as the hints of gold flowers on the front cover. 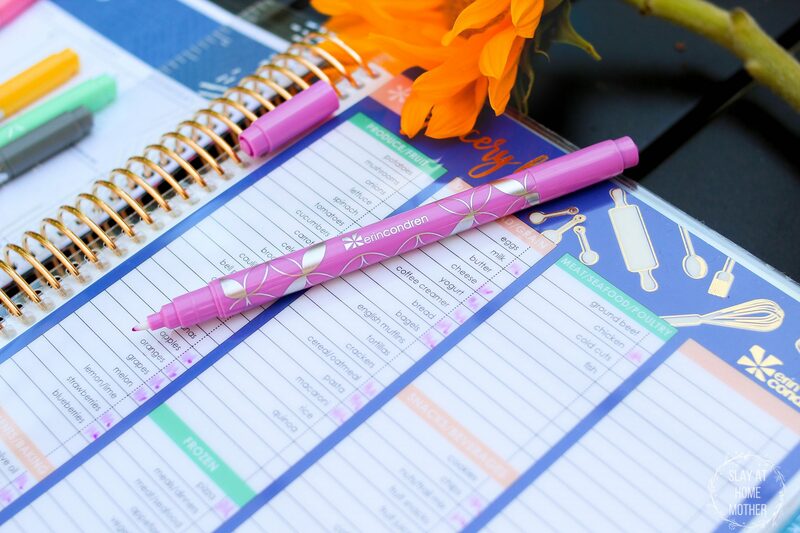 Erin Condren has some great planner add-ins that I adore, one being a snap-in Grocery List, and a Bill Tracker snap-in to help me keep track of what has been paid each month. For my calendar, I chose the July 2018 – June 2019 option. My heart fluttered when I saw all of the beautifully colored month tabs on the side. 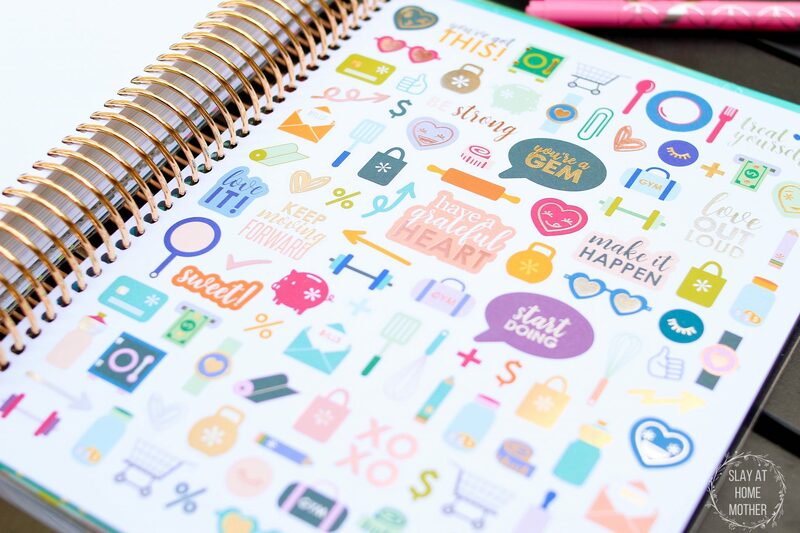 The included stickers are so darn cute – so if you are a sticker fanatic like me, Erin Condren has you covered ;). With our third pregnancy upon us any month now (all in God’s timing, of course), I snagged some beautiful Pregnancy Stickers for my planner. 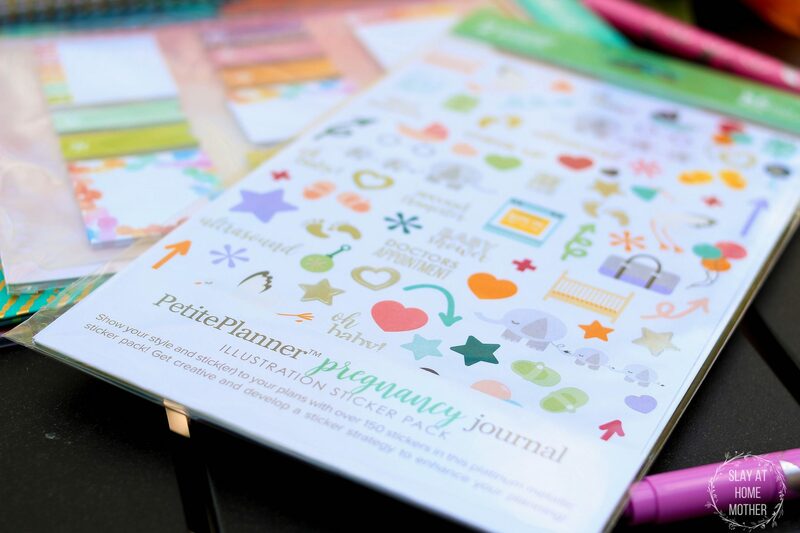 Whenever I have an appointment or ultrasound, I can now decorate my planner with these adorable stickers! Did I mention that I’m a sucker for stickers. Okay, I’ll stop. My kindergarten teacher was left-handed. I tried to hold my pencil the same way she did, and it stuck with me! So I write like a left-handed person, but with my right hand. It’s a great conversation starter when I first meet someone and have to sign something or fill paperwork out. I used to be really self-conscious about it, and I know that it probably looks odd in photos, but that’s just one of the many things that makes me unique in the world. I love my new LifePlanner. My work gets done faster, and I’m not forgetting things or events that I’ve doodled in random places throughout the house! 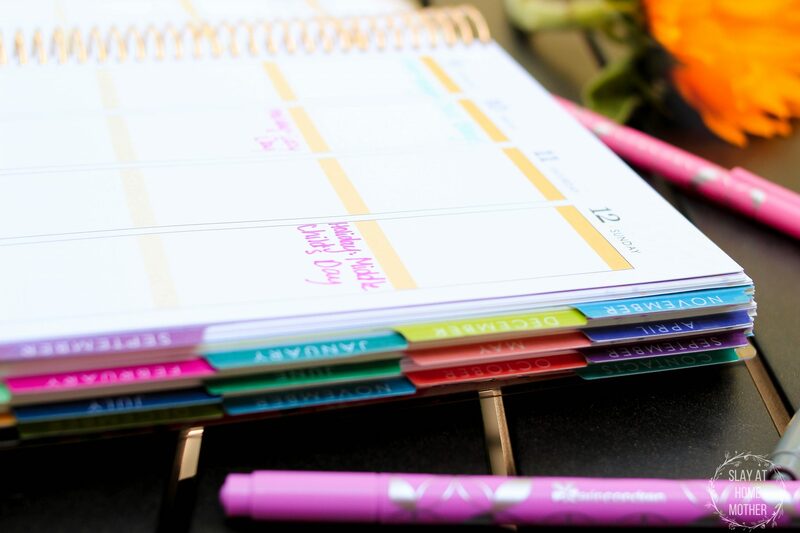 Do you use an Erin Condren LifePlanner? I’d love to hear your experience! Tell me in the comments below. 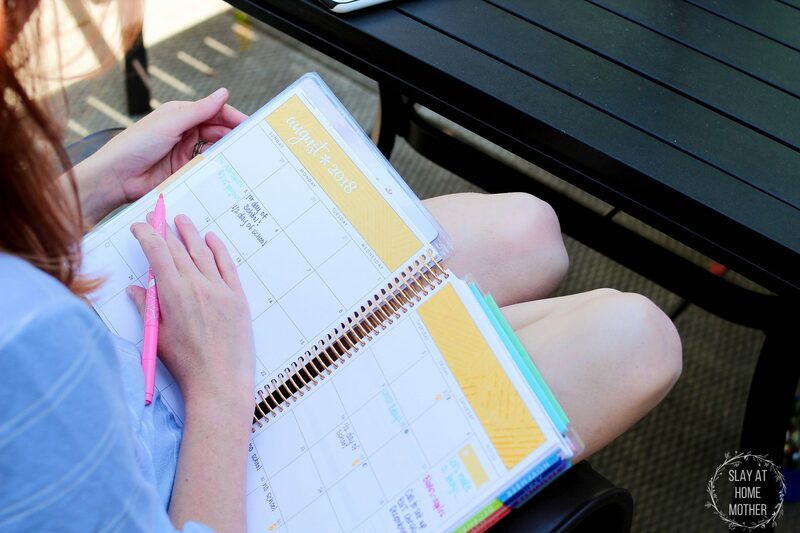 Gosh I LOVE Erin Condren and that planner is so stinkin’ adorable! I have gotten so lazy and just use my phone for everything, rather than writing it down. It helps me make sure I don’t forget to include it in my planner since my phone is always with me (been there done that too many times) and I like that it syncs with my computer so I always have access to it. But let me tell you… It’s not NEAR as pretty and fun to play around with as an actual physical planner. Because I’m with you. I love me some stickers ha! I bought my first one a few months ago and I’m totally addicted. I will never buy a different brand! I can’t wait to get my next one. I’m with you! 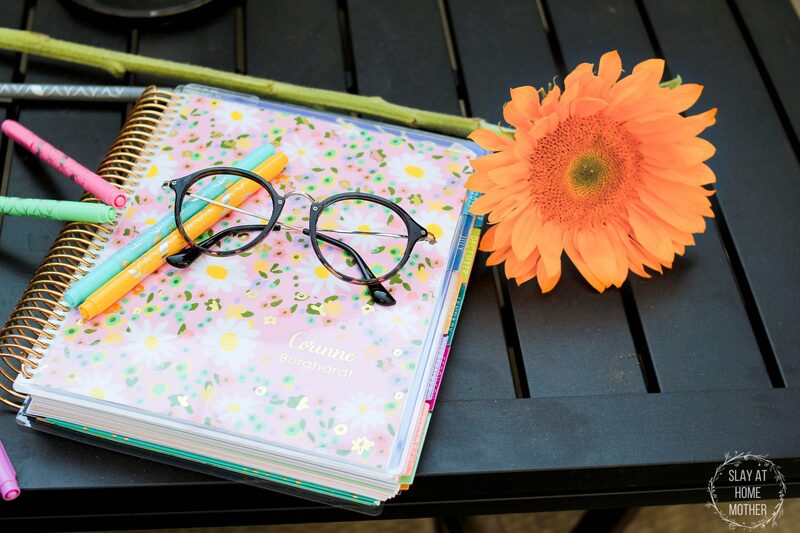 Her planners are so organized and inspirational 🙂 Thanks so much for reading! I should try using a planner again. I always like it in the beginning, but fall off with using it. I write the same way and I’m a righty! Too funny. The planner really looks fabulous and so full!! I love there there’s so much you can take care of with it!